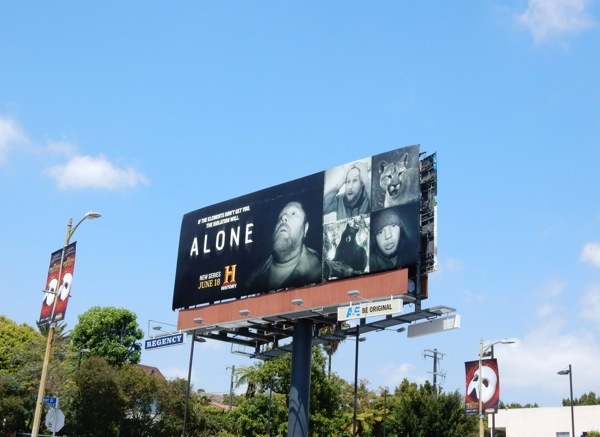 With the skies of L.A. currently crammed with Emmy consideration billboards, it makes it all the more difficult for new Summer series to stand out, like History's Alone. 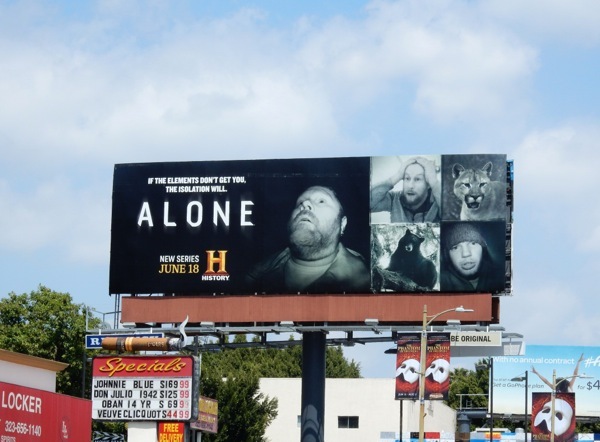 The look of fear and the threat of being eaten by predators like bears or wild cats should help draw in viewers who like their survival shows taken to the extreme. 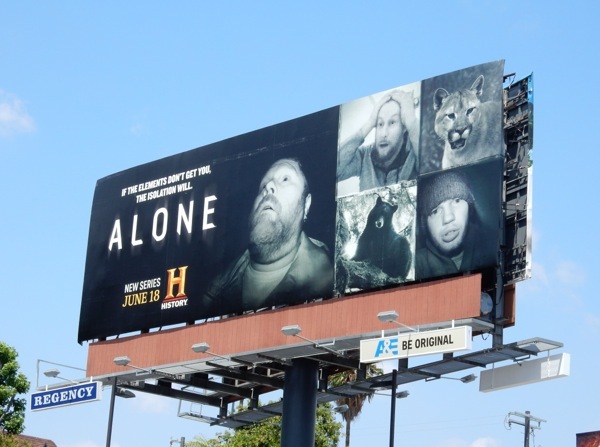 In the show ten men enter the Vancouver Island wilderness with only what they can fit in a small backpack, where they must hunt, build their own shelter, defend themselves and face the elements whilst documenting their isolation without a camera crew (this show sounds a lot like NBC's The Island, but without anyone to share the experience). 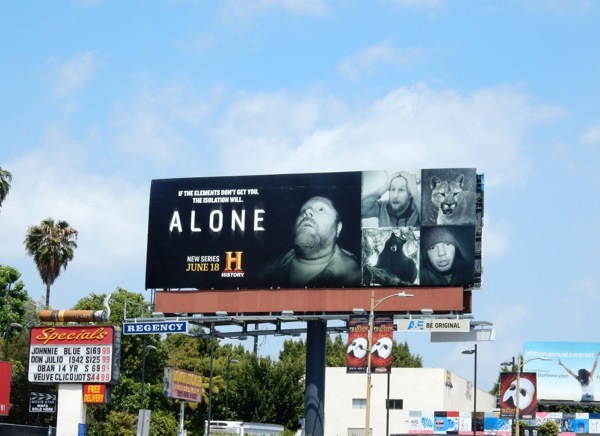 This series premiere billboard for Alone, where it looks like the experience is getting to some people, was snapped along Sunset Boulevard in West Hollywood on June 5, 2015. Now will you be watching this new series by yourself, or safely in the company of others on the sofa?